Aren’t we gonna drink yet? That was the quintessential question that’s been buzzing around our heads as we lounged around Microtel Cabanatuan’s Liquid Bar. 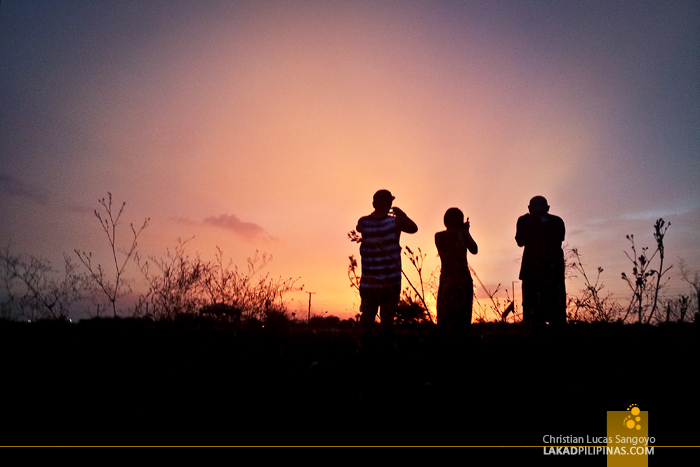 We were at the al fresco area, basically just shooting the breeze, waiting for our friends to arrive, when the seemingly innocuous sunset we were ignoring suddenly bloomed into one of the fieriest afterglow I have ever witnessed. The sun has lowered itself beneath the horizon but its colors blazed across the open sky, painting the heavens in blistering embers. Thoughts about beer were quickly forgotten as we grabbed our cameras and rushed towards the nearest open field. We were being warmly welcomed by Cabanatuan City. We certainly knew it. 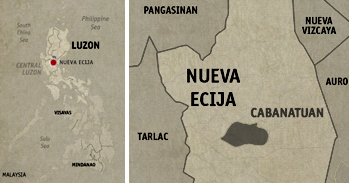 Coming from the Five Star Cubao terminal in Quezon City, it took us about three hours to reach Cabanatuan City. The drop-off point was at the city’s central terminal. 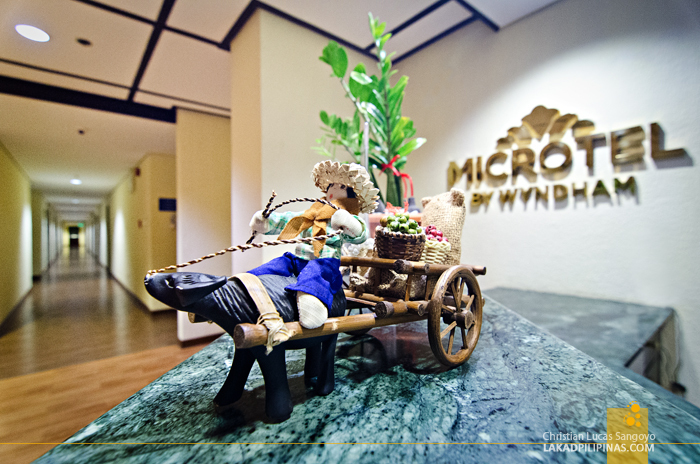 From there, you can either ride a tricycle to Microtel or if you’re lucky and their van is available, you may request to be picked up—just make sure you have an arrangement with them prior to your arrival. Anyways, it’s about five minutes away from the terminal; we could’ve actually walked, but two kilometers seemed like forever under the city’s unforgiving heat. I was quite surprised as we entered Microtel Cabanatuan’s lobby. 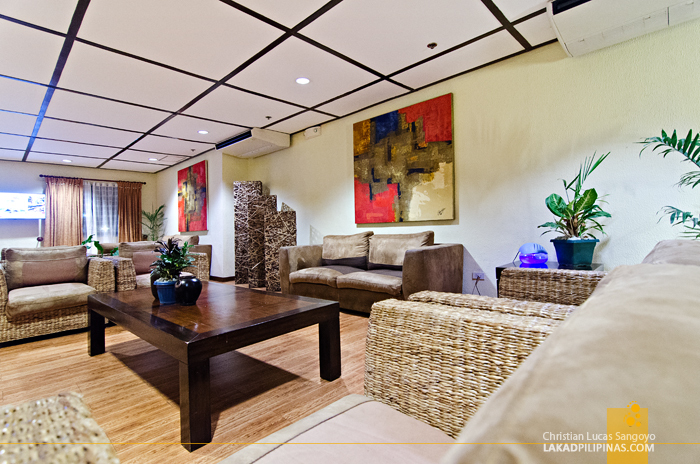 It was very homey and tastefully furnished with beautiful abaca-like couches. I also like the paintings they chose to hang on their wall, it certainly gave the place character. If you’ve been to other Microtel hotels around the country, you’d know that they’re stickler when it comes to uniformity. Their facade all looks similar, so are their rooms. This was very refreshing, to say the least. I’ve previously stayed at their hotels in MOA, Baguio and Tarlac, so I was expecting the same room set-up that I’ve had from before. And I wasn’t mistaken. Our Deluxe Two-Queen Bed room (check rates) looks like a carbon copy of those I’ve slept in so far. Although that’s not exactly a bad thing. As the Thais would say, same same but different. I like the fact that their rooms are spacious, has a working desk, a cable TV and a closet. The thing I love most about it though, besides their trademark super comfy chiropractor bed, is their bay window with a built in sofa. 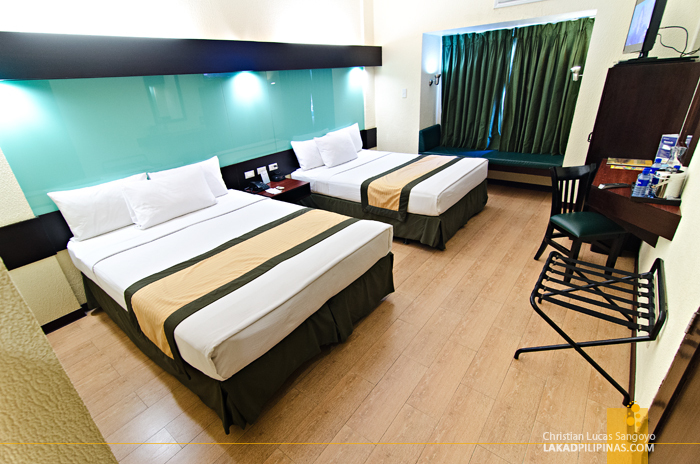 I actually slept on one when I was in Microtel Tarlac. YES, THEY HAVE A SWIMMING POOL! I also love the fact that this branch has a medium-sized swimming pool at its back. It’s not comparable to the rooftop infinity pool at Microtel MOA, but it is good enough. 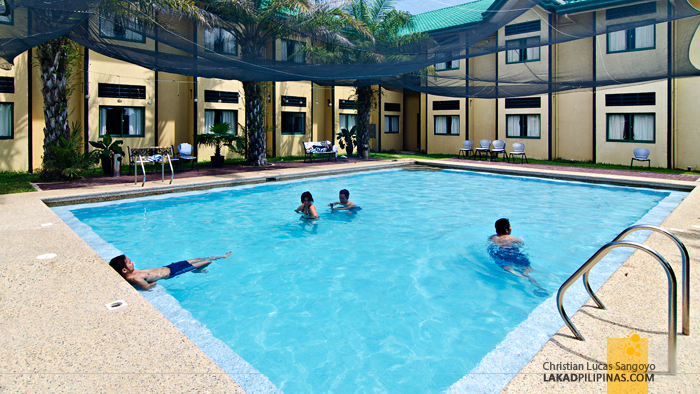 With Cabanatuan’s extreme summer heat, I’m betting you’d forever find yourself at the pool area. Early mornings, you’d usually find us at their Liquid Bar, hungover from the previous night, but still totally enjoying their food servings. 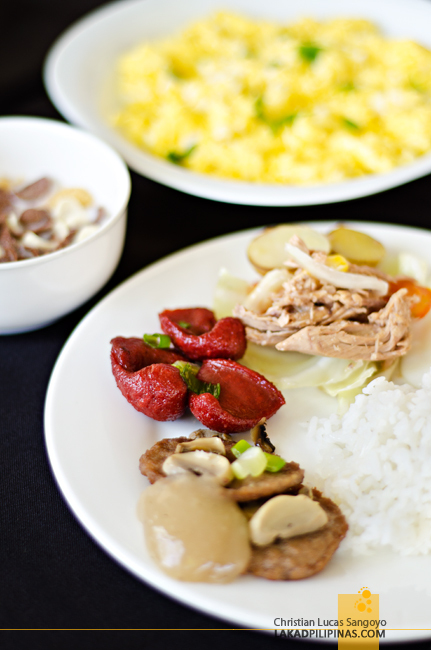 Well, who wouldn’t say no to a hotel’s complimentary breakfast, and it’s a buffet to boot too. I just wish our stay timed when they were serving Cabanatuan’s famous batotay longganisa though. 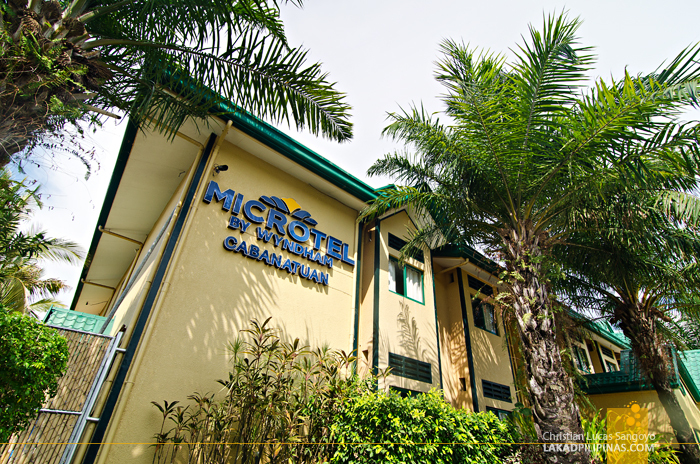 Microtel Cabanatuan served well as our base of operations during our three-day trip around the province of Nueva Ecija. 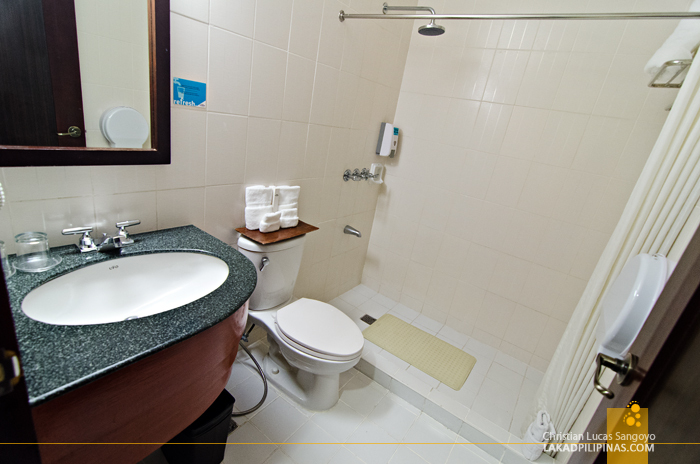 It was conveniently located, has a van service when we needed to go out, has all the amenities for a comfortable stay and their staff always have a ready smile for us. 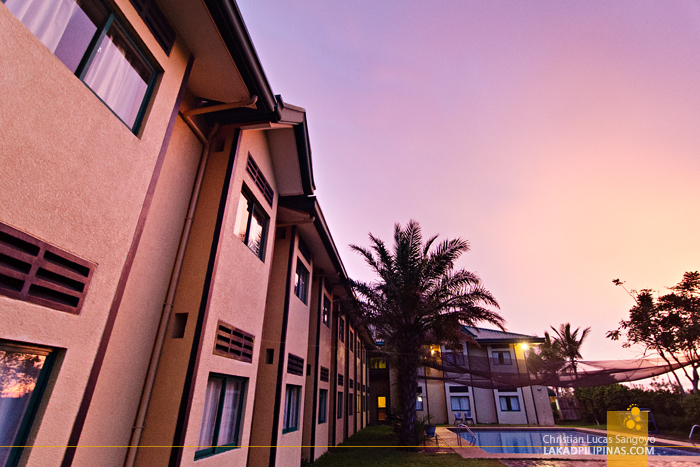 A home away from home, indeed. Yung first pic lang tinitingnan ko. Ganda!